There is not many strains of cannabis that have done more to promote superior cannabis than this collision of Purple Thai and Afghan Indica hybrid. With a lineage that stretches back to the 70’s and a mysterious character by the name of DJ Short. Since then the genetics of Blueberry seem to have been in everything and anything. Awards are also attached to this popular strain, winning the High Times Cannabis Cup in 2000 for best Indica. It’s colours are a mixture of pale green leaves and dark hairs that sit on a lush bed of nugs. Blueberry is a dominant feature of the smell as too are the sweet tones and tropical flavours such as lime and lemon. The buzz is lively and energetic and certainly not one for a night on the couch. That’s not to say it will send you high as kite though as the THC levels are quite high and can reach up to 24%. 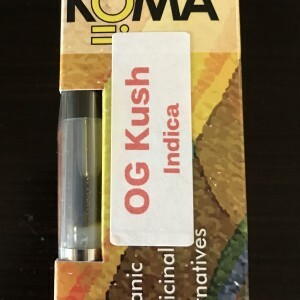 OG Blueberry is recommended for smokers with experience in using superior cannabis plants and not one for beginners. Relief from chronic pain, insomnia and depression are common with this strain of marijuana. Lack of appetite and use for eating disorders make Blueberry a good choice and the benefits of this weed are well known. This marijuana plant is grown outside and has a flowering period of between 8-9 weeks. The yield is moderate and can easily be attempted by gardeners of no less than intermediate skill. 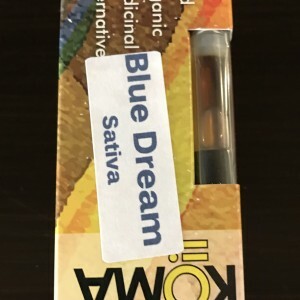 Buy High Quality and Original Organic Blueberry (Hybrid) Weed Mar Vista online at Marijuana Floor.